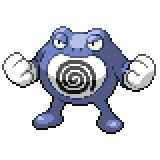 Poliwrath is a dual-type Water/Fighting Pokémon. It evolves from Poliwhirl with a Water Stone. 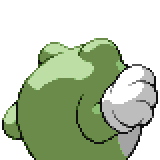 It is one of Poliwag's final forms, the other being Politoed. 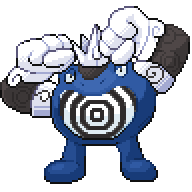 It can Mega Evolve into Mega Poliwrath using the Poliwrathite. Its highly developed muscles never grow fatigued, however much it exercises. 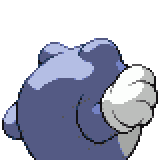 This Pokemon can swim back and forth across the Pacific Ocean without effort. 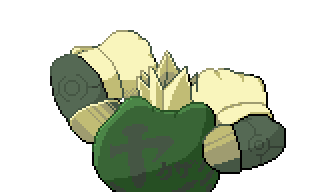 This Pokémon cannot be obtained. 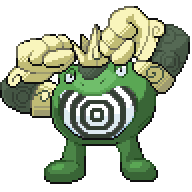 A level of "Start" indicates a move that will be known by a Poliwrath obtained at level 1. This page was last edited on 9 February 2018, at 06:38.